Intro to The pH Miracle for Cancer | So What Is Cancer? | How Do I Fight Cancer? Summer 2011 I went to the doctor for a health check. I'd been feeling tired and had lost a lot of weight. I ended up having an x-ray, to see if there was anything wrong. They found a spot on my left lung and I was sent for a Biopsy. On the 21.st of July 2011 they told me the tumor was cancer and there were traces in the lymphatic system around the area. I do not smoke and I am known as the person in the family who is very conscious about eating healthy food — so nobody could explain why I'd got lung cancer. The doctor who'd informed me about the results said I should have radiation and chemo.After my family and I had received the diagnosis about the spot in my lung we began searching for ways to help cure me without radiation and chemo. My son and daughter in law had a book "Cancer is not an illness" by Andreas Moritz. Some of my friends gave me the book: "You die from cancer. And the earth is flat". These books contained a lot of information both about research and peoples experiences from all over the world — including traditional and alternative ways to help people with cancer. I knew when the diagnosis was given to me that I'd never go into a traditional treatment. I would rather die from the cancer. The doctor was very surprised. He'd never had anyone who'd said no to his suggestion. He told me that I'd probably be very, very ill within a year. The nurse who was looking after me after the consultation (because I was crying) advised me to put my life in the hands of the doctors. They knew what the best form of treatment was for me. Even though I was prepared I was in shock. But I was lucky I had my family around me. My son had heard about Dr. Robert Young and his live blood tests by Anthony Robbins — so after trying to find support in Denmark my daughter decided to write to Dr. Robert Young. We found his ideas about alkaline food combined with the focus on the blood very useful. And we also liked the fact that we could get support from someone who had a tool to look at the constitution of the body instead of focusing on the cancer. Click Here to Read the Rest of Inger's Success Story. . . Initially it was our intention to find someone in Europe who was taught by Dr. Young. However we changed our minds. Wednesday the 3rd of August 2011 my daughter wrote an email to Dr. Young, Thursday we got an answer and a phone number and phoned the pH Miracle Center. Saturday the 6th of August my husband, my daughter, my son, my daughter in law and I arrived at the pH-Miracle Center. This was the first miracle. Being there was wonderful — though I was in a special state we enjoyed every second at the center. I often thought: "Am I dreaming?" — some days before I'd thought I was going to die. Here I was in Paradise instead of at a hospital. And I became inspired and believed I wasn't going to die after all from this cancer because I had the power to build a healthy and strong body. At the same time we all learned about the pH Miracle lifestyle. How we can keep our blood alive and healthy, how we can eat to keep our pH high, how we can understand why cancer shows up in a body, how we can cook healthy food plus a lot more. On top of this we were surrounded by caring men and women and happy children — many of them with a personal story about how the pH-Miracle program had changed their lives. So I left the Ph Miracle Center believing in and trusting the program. In Denmark Dr. Pernille Knudtzon who is an ordinary doctor and trained by Dr.Young followed my progress with new blood tests which showed how my blood changed for the better — exactly as Dr. Young had told me it would. Lymphatic massage and reflexology and talked with a psychologist and coach nearly every week to keep my mind focused on the positive choice, I have taken. Sometimes when I feel it is hard work to do all this — I compare this with what I would have experienced if I had radiation and chemo. My health is now much better than it was before, I sleep at night, my weight is stable, my lung capacity has grown — I feel so much more alive — which is hard to explain. I have no signs that I'm sick with cancer and now I know I am not going to die of this cancer. I think about how lucky I am. I have my family around me — supporting me — and my family and I had the chance to learn about this special approach for keeping the body in balance. I am so grateful that I met Dr. Young and that he had time to support us and teach us about the program of the pH Miracle. Dr. Danesh shares his thoughts after 3 days on the pH Miracle for Cancer Protocol. Dr. Danesh shares his thoughts after 7 days on the pH Miracle for Cancer Protocol. Dr. Danesh shares his thoughts after 14 days on the pH Miracle for Cancer Protocol. Dr. Danesh shares his thoughts after 4 weeks on the pH Miracle for Cancer Protocol. I would like to share with you my story as to how I became involved with the pH Miracle Living Center in Valley Center, California, owned and operated by Dr. Robert O. Young and his wife, Shelley. In January, 2003, my osteopath noticed a mole change on my back. It was bleeding so he suggested that I should see my GP as soon as possible, like the next day. This I did and my GP took the mole out and sent it away for a biopsy. Two days later I received a phone call from my GP asking me to come and see him as soon as possible. This I did. My GP told me that the biopsy proved malignant, suggesting that I should make an appointment to see a plastic surgeon. My wife and I went to see the surgeon about three days later and I was told that I had melanoma - a very invasive form of cancer. Given a ratio of between one and three I had number two. The doctor recommended that I have surgery as soon as possible, which I did. After surgery I was told I would have to have three monthly checkups to make sure the cancer was not spreading. About four months later I felt a lump under my left armpit about the size of a marble, so I returned to the surgeon to find out that I would have to have my lymph nodes out. A week later I had the surgery and the doctor recommended me to the oncology department. At this point I had met a lot of people with this condition and the outlook was not very bright. It was then that I decided to take charge of my own health. I would like to share something with you at this point. My wife had bought Dr. Young's book Sick and Tired. I use to see it around a lot and it got to me so much that I would keep turning it over so that I could not see it. Strange as it may seem, that's how depressed I was. I couldn't see the wood for the trees. Very soon after that, Karen, my wife, booked both of us on a flight to the U.S where I attended a pH Miracle Living Retreat at the pH Miracle Living Center, in Valley Center, California. It was a five day Retreat and it was full on from day one, learning and understanding the New Biology(R). After only a few days I started to feel a lot better, with more energy and a lot less tired. I had not fallen asleep at all during the day even through all the lectures. I was on my way up. What a great feeling. But a major change in diet and a complete lifestyle change was ahead of me. Dr. Young said that he had given me the tools to look after myself and it was up to me now to make it happen. It has been over six years now and I have never felt so good in all my life. I very rarely get anything like a cold or a flu, aching joints, headaches, or feel depressed. The pH Miracle is exactly what it says it is, just that. Thank you Dr. Young and Shelley. I feel that with the help of all the people like my wife and my GP and my surgeon, Dr. Young and Shelley I am still around to share this story with you. So really do not close off any doors when you are in such a situation. Take all the avenues and most of all take charge of your own health. Do not be told by anyone that you can go home and get things in order, which in other words means go home and die. Do what I have done and believe in the New Biology(R). Just get on with life. Make those lifestyle and dietary changes and just get on the Young pHorever pH Miracle program and give it your best and honest shot. Do not blame someone else for your condition, just get on with it. As I have. Become a pH Miracle all for the sake of trying. It's as simple as that. Get on the Doc Broc Greens and the pHour salts, and the pHlavor salts and the pHlush salts and the puripHy salts(C.O.W.S. Pack). In September 2012 I was diagnosed with stage 3 unclassified metastatic renal cell carcinoma, a rare and aggressive form of cancer with median survival times of 4.3 months. I refused the chemotherapy and drug trial and avoided the excessive diagnostic radiation. I regretfully had my right kidney removed, unaware at the time that surgery does not cure cancer and would have no effect on my prognosis. I can testify that had I known what I later discovered, I would not have removed my right kidney. Instead I chose to fight my disease naturally. In my research I discovered the PH Miracle by Dr Robert.O.Young with his guide to alkaline foods and the correlation between disease and acidosis. It became quite clear that my diet pre-cancer was nutrition deficient, toxic and acidic. After surgery I made a radical shift in my diet removing every processed food, sugar, dairy and meat along with every other conceivable carcinogen I could find. 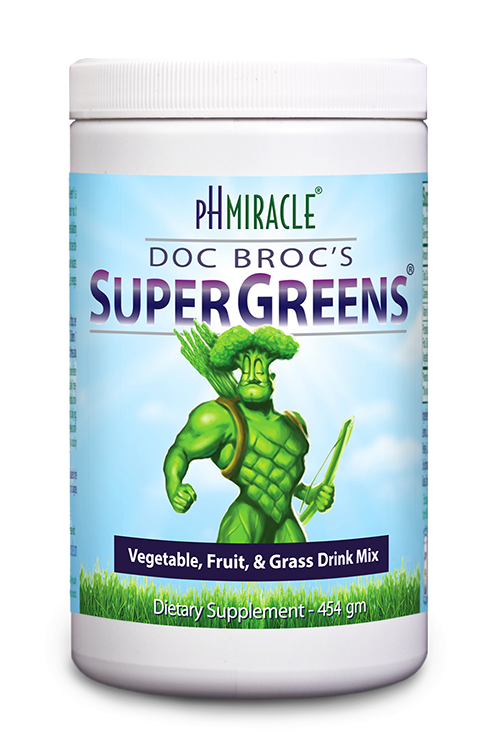 I began to juice organic alkaline vegetables such as Kale, Broccoli, all the leafy greens and many others using the PH Miracle as a guide. I added wheatgrass into my routine along with increased omega 3-6-9 oils via hemp seeds and flax seeds. I also increased my fruit and nut intake consisting of organic lemons, unpasteurized almonds and apricot kernels, whilst taking many other alkalizing steps. Pre-cancer I was obese at around 240lbs. With the radical change in diet I quickly shed the excess fat and stabilized at my normal weight of 180lbs. Within a very short period of time I began to reclaim my health. In January of 2013 I received the results of my CT scan and was given the all clear. The key to recovery was knowing that my body would heal when given the correct nutritious, alkaline diet. I sit here today never healthier than at any other time in my life and can testify that the pioneering work done by Dr Robert.O.Young and his PH miracle guide helped saved my life. Without this book I would not have gathered and verified the research in such a quick and timely lifesaving manner. This book in my opinion is an essential tool in any cancer fighter’s toolbox. After watching his father die a horrible death do to prostate cancer and the treatment he underwent, Mark took it as inspiration to find a better way when he too was diagnosed. He found the pH Miracle and experienced a much more positive result. Bruce followed the pH Miracle for Cancer protocol to help with his high PSA levels. Heexperienced improved health and weight loss on his way to a safe PSA report. Hello! I am Szilvia Kovacs from Hungary and I would like to thank Dr. Young, the father and developer of the pH Miracle. I was diagnosed with a tumor in September 2008, then I had an operation and underwent long treatments. After all this my doctors and some alternative practitioners basically gave up on me. They said I would probably die within a relatively short period of time and that I would be suffering up until the end. My doctor, who did all he could, encountered things in my case that he could not really do anything about. Although since 2008 he was doing a lot, there were things he was not able to change at all. Then I decided that after trying countless methods I give myself one more chance to my health, myself and my life. I chose life and I said yes to it. So I contacted Dr. Young in March 2010 and we met for one week. He showed me the method he uses to heal and did treatments on me. After arriving home I continued them with incredible results. I received the first treatment on the 29th of March and did it for two more weeks at home. I had a test on the 4th of May and all my tests were good, the results are all negative! I feel fantastic! I need very little time for rest. Foods have changed, finally I can really taste them! My thoughts are clearer and I am much calmer and more balanced. I can thank all this to alkalizing. I must say that all my life and everything has changed around me. Ditte was diagnosed with breast cancer and after the treatment she was then diagnosed with stage 3 cancer when they found multiple tumors in her lymph-nodes and lungs. In this hopeless state she discovered the pH Miracle. After only two weeks living the program she experienced dramatic reduction in the tumors and felt energized and lively. Rosario experienced drastically improved health and weight loss while follwing the pH Miracle protocol for breast cancer. On the pH Mriacle program Catherine experienced a tremendous turn around in health as she fought back from breast cancer that has spread throughout her body. Deborah experienced drastically improved health and weight loss while follwing the pH Miracle protocol for breast cancer. I was diagnosed with a very aggressive breast cancer on my left side. I was devastated. I began teaching our son and daughter (then they were 11 and 9) how to do some basic skills around the house like cooking, cleaning, and washing clothes. I felt I was out of time to help them with a few simple skills and foreseeing a less than desirable future with my health. I went to my oncologist who recommended a lumpectomy, followed by chemo, and then mastectomy. Having a history of 3 aunts of breast cancer from my father's side and his loss of stomach cancer…I realized my genes were not equipped to lead me with a longer life span. These were my thoughts. After the 3rd chemo and feeling so "wrong" about it going inside my body, I decided to do some research. I looked up many things regarding my type of cancer, found a website for Triple Neg, read and compared notes from subscribers in this site, and found that my protocol being equal to others; yet, they were facing metastasis in the brain, lung, and bone cancers. From there, I decided to look up more information on Triple Neg Breast Cancer, and found a site of scientist comparing two Indian tribes somewhere in the states, possibly Arizona, where one village lived within a mile of "civilization" with an array of fast food restaurants, while the other Indian tribe that lived further away grew and ate vegetables they harvested. The diets being different were also compared. They describe one diet being "alkaline" used by the Indian tribe that ate vegetables had cancer of a ratio of 1 in 1000. The other tribe matched the US population ration of 1 in 4! So I searched for new key words in my life. . .alkaline foods. After searching many many websites, I decided to stop at www.phmiracleliving.com. That very date, October 24, was when I decided to end the chemo treatment. I followed the recommendations of the book by Dr. Young, The pH Miracle. I continued with my plan of changing the way I ate and drank food. I learned that cancer is not really a disease; it is simply the body in a very acidic state…and this by the way is TRUE. This meant, I had to replace all acidic foods with alkaline foods. I could no longer drink coffee, or sprite, or even orange juice. I drank green smoothies, juiced green drinks, and drank alkaline water. The first 21 days, I began this journey. After the 21st day of drinking greens. . .food and water, then I replaced one meal with salads and a very simple lemon, olive oil (salt) dressing. I tested my urine before beginning this journey and it read a 4 on the pH scale. My goal was to get the urine reading 9. This I told my doctor. And he said it was rubbish! Well, after failing to convince him to do a pH on my blood, then I asked him about the pH of patience in ICU. He said that it was very low. . .3-4. At that moment, I decided to make the changes in my life as recommended by Dr. Robert Young. After 2 months, my urine pH hit the alkaline mark! I also had lost close to 20 pounds. I walked every morning. I was in great shape and feeling very good. After 3 months was my surgery, January 2008. I made the decision to go ahead with the surgery. Had I known better, I wouldn't have done it. But I did. A month later, I went to see my surgeon. He wanted to know from me and asked me, "tests results are great! Off the record, what have you been doing?" I told him that I had changed my diet, and added exercising to my daily activities. He wanted to know more and I was curious so I asked him why, and he stated that he didn't need to remove any lymph nodes! And the breast tissue had no signs of cancer. Ok, so like my husband, you may think that it may have been the 3 lonely chemos that went into my body! Maybe, but what happened to all those women I encountered on the Triple Neg website with cancer spreading to the brain, lungs, and bone marrow?! I was expected to take 5 more and to those last 5, I simply said, "no more!" My oncologist couldn't believe what I was saying to her. She told me that I would return in a couple of years. I fired her. In my entire life, I have never had to stand up for myself as I did then against all my family members to say "No to chemo!". Unfortunately, we don't do anything about our health until something goes "wrong" and we get a label on our forehead like cancer or diabetes, etc. God meant for life to be simple, and humankind is only making things even more complicated with drugs! Many testimonies are out there to prove how well this kind of lifestyle really works especially for those of us whose body basically said, "Enough is enough!" I have fallen off tract in the last couple of years. My inner voice tells me that I need to get back into it. I have my weaknesses that I deal with daily, and having gained those 20 pounds I had lost doesn't help either. I have sensations that I know I should not feel in my body. . .things that remind me of when I had cancer. I believe our bodies are so amazing. God is AMAZING! He has given us the tools we need, and stupid if we don't. If you haven't already, please do not go the route of chemo. Wait! You have time! This is one of the best alternatives out there. . .pH Miracle worked for me and I just wanted you to know that this is NOT a death sentence. . .look at it as your second chance to relive and enjoy LIFE! in early April I went to a dermatologist and a biopsy was performed in two different areas on my back and forehead and I was diagnosed with skin cancer and was told I had to have surgery and/or radiation. I went on to see an Oncologist at Florida Hospital highly recommended to me and was told the same thing. I was a little freaked out since I had lost my best friend, the godfather to my children, a few years ago to the same thing. He had found knots under his arm pits and had gone to the doctor and under chemo and several hospitals and treatments later, he was dead in six months and died a horrible death. It was already in his lymphatic system so I guess there wasn't much medical science could do. I had the same symptoms for over 4 months before I went to the doctor. The knots were extremely painful under both arms. I thought I was having some kind of allergic reaction to something. After my diagnosis, I called my son Jason and he hooked me up with Dr. Robert Young in San Diego. They do a specialized blood tests with live and dry blood patterns that shows you on a video screen exactly what condition your blood is in compared to what is perceived to be healthy, balanced blood. Mine was pretty scary. Dr. Young advised me to change my lifestyle before I decide to let them perform surgery or radiate me. He said I did not have cancer but that I was so acidic from the way I had been eating, drinking, and living all my life and that I was literally urinating through my skin and lymphatic system. He put me on a strict vegetarian diet with no meat or chicken or fowl of any kind and I ate about 3 salads a day with good healthy oils over them. I did have grilled fatty fish from time to time like tuna, salmon, and a few others and even learned to love broccoli. I also drank at least 6 liters per day of an “alkalizing green drink” that Dr. Young invented which is made up of concentrated and low-heat dehydrated wheat, barley, and kamut grasses, different kinds of sprouts, and green vegetables…each liter is the equivalent of eating about 3 pounds of raw and organic green vegetables and it seemed to make me crave green vegetables even more. I noticed in about two weeks the knots all went away under my arms and I started to feel really good. I lost about 25 pounds in the process, over a pound a day! The cancer doctors called me in late May and again a few weeks ago panicking for me to schedule a date for surgery, come in, and “get this cancer taken care of”, so I decided to go in and see what they would say. I went in on June 19th and I could tell in the exam that the Doctor looked puzzled. He couldn’t find where the cancer was anywhere in my body and kept asking me if I was certain of the location so I told him what I had been doing since the diagnosis in April and asked him if it was possible that I did not have the cancer any longer. I knew what his answer would be before I asked. He told me it was a “medical impossibility” but whatever I am doing, to keep it up, because he could not find any cancer any more…in fact; he couldn’t even find the scar tissue from the previous biopsy. He did ask if I wouldn't mind coming back in late August for another biopsy just in case. I could tell he was baffled and I can't tell you what a great feeling that was. I guess now I am one of the over 100,000 testimonials for Dr. Young's “New Biology” and “pH Miracle Living Program”. He has a few best selling books out on Time Warner/AOL called "The Ph Miracle" and "The Ph Miracle for Diabetes" and "The Ph Miracle for Weight Loss" if you want some good reading on what I did for myself. Dr. Young teaches that cancer and sickness of any kind are not something that happens to us from the outside, but rather that it is what we put into our bodies and what we do on the inside and it will appear in areas you are weak from either stress, injury, or genetic predisposition. I was doing skin cancer and I just chose to quit doing it! You are going to hear a lot about Dr. Young in the near future. He has an incredible near 100% success rate with both Types I and II Diabetes for those that follow his regimen. He has already been on Fox News, CNN, the Early Show, and may make it on Ophra Winfrey this fall.